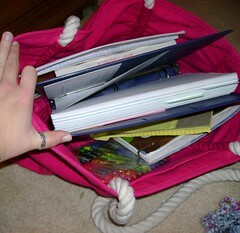 I have been using this way too much and neglecting my bag full of homework. 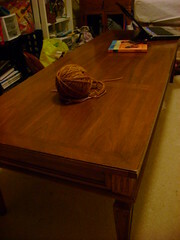 And here is the coffee table that Erik helped me move. It was free. Oh yeah, I’m that good. 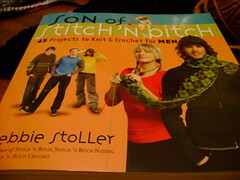 I bought this book to get patterns and tips for knitting for men. But this really does have a purpose. 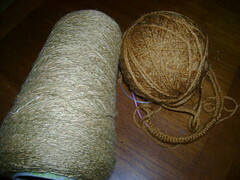 I bought this yarn (on the left) online for a sweater, but I didn’t realize it’s only 2-ply, so it’s totally not going to work, which is why I bought the yarn on the right. 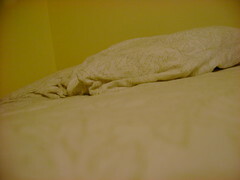 This is the pattern in the book that I’m using. However, I’m going to only use one color and not use the anchor design. It’s going to be plain, and I’m going to put sleeves on it. 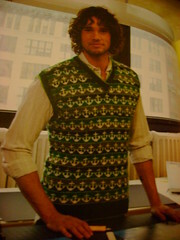 In other news, this is my first sweater. I hope to be finished with it soon. 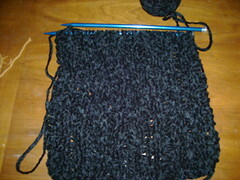 This is a scarf for my mommy for Christmas. 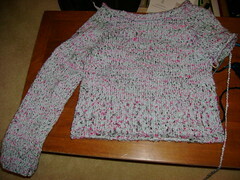 It’s Chenille yarn from Lion-Brand. It feels wonderful. Oh and in case you’re wondering, it’s a 2×2 rib. Thanks so much for the scarf!!! 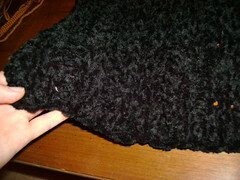 It is awesome and oh so soft and warm! !